I can not believe it has been a year. A whole year since I kissed my babies heads; a whole year since I held them in my arms. A year is a long time. A very long time to miss your babies and long to hold them. Those feelings have not weakened, but my hope and peace have strengthened leaving me in a much better place emotionally than I was a year ago, physically, too! I was looking at their picture yesterday and I had one of those moments where you go too deep in thought and you confuse and amaze yourself. Do you know what I mean? I had these random thoughts going through my mind, "Those are your babies." "You had identical twins!" "You had conjoined twins!" "Your babies died a year ago." OK, so that was what I like to call "wallowing," so I stopped and busied myself with a project. But through out the day when I would look at the clock I would think, "Oh at this time a year ago, I was finding out they would be born that day," or "by now I was holding them." Which was just something I had to do. We took birthday balloons to the cemetery yesterday and went out to eat with Matt's family. Over all, we had a good day. I am still thankful to be a part of God's plan, and I know he has a great plan for me, my life, and my family. I really hope it involves more children, but I am open to God's will, no matter what it is. Thank you for your love and support, with out you all we would have a hard time finding the strength some days. God is GOOD--that hasn't changed over the last year, and it never will. I will thank God everyday for my many blessings, and try to wait patiently for the longings of my heart that God knows without me ever uttering a prayer. I uploaded some sweet pictures of our time with Joshua and Caleb to share with you. I think most of these you might not have seen on the blog before. Have a good day! 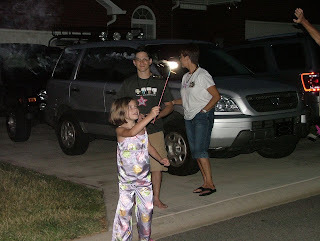 This is July 4th, 2008. Billie always makes the best out of a situation. I was on bed rest and couldn't really do much, and she never complained. Not even for a minute. She really enjoyed the sparklers. The picture of me is at the end of June when we were in D.C. for a second opinion for the boys and their chances of survival or separation. I just thought you might want to see a picture of the boys at this time last year right before they were born! We have decided we hate July. I know that is terrible, and part of me actually loves it, too. It is the month my beautiful boys were born. 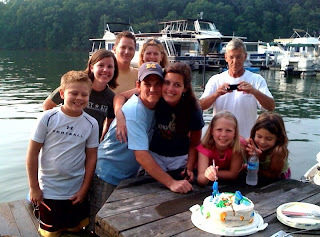 But it is also the month that I lost Michael, Joshua and Caleb, and even my beloved Grandma. All in different years, of course. It is just a very hard month, and I know once we get through this our "first" and Joshua and Caleb's first birthday, the next year will be easier and each following year will get easier. I find myself every day drifting off in deep thoughts about what I was doing this day a year ago. My babies were kicking and squirming in my belly, so strong and full of life. I just wanted to keep them there, safe and healthy. I would have gladly just stayed pregnant forever to keep them with me. 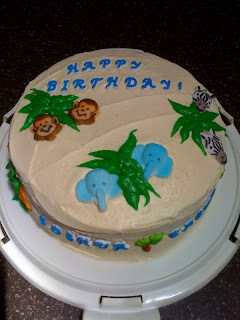 I am sure that would have eventually gotten old, but at that time I was so scared for their birth. I didn't know I could survive what I have. I was so scared just to have the surgery. The doctors had warned us of all the things that could go wrong. I was so scared that I wouldn't survive, and if I did, that my uterus would not. 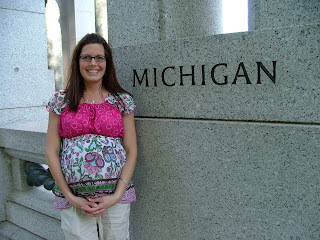 I was terrified that my babies would be stillborn. I was terrified that they would not live through their first day. I was terrified that they would live and be in pain or have to undergo painful operations and medical testing. I trusted God to the best of my ability, but I am a worrier by nature and I was plagued with so many fears. 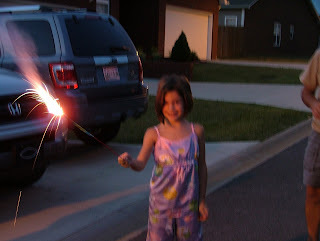 I remember July 4Th last year, we took Billie outside and did a few fireworks and sparklers. We actually have a couple pictures of that night. We didn't know in just 11 days our boys would be born. We were really hoping to stay pregnant longer, to help their lungs develop. God knew that would never happen, and he took control and had them come on the 15Th. God is so good, I could not have planned it out better. They were born alive, and we got to spend time with them alive. It was too short, but it was God's will and we were able to accept that. 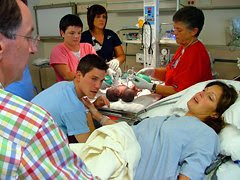 If they had lived a few days they would have needed surgery to correct their Gastroschisis. That would have been a difficult decision to make, and excruciating to go through a surgery with their heart being so fragile. God is so good, he took that decision away from us. Looking back, I still long to have them in my arms and to see them sleep and hear them cry; to watch them wiggle and stretch and yawn, and to see their faces light up when Billie is around. But I also know that we were a part of a miracle of God's. 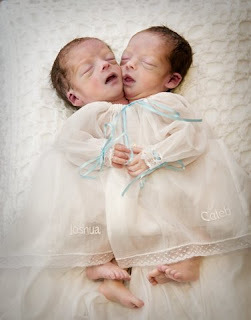 Our boys were God's miracle twin boys. I wouldn't take that experience back for anything. I love our babies and I miss them every second, but I know their short life was a part of God's plan and I am glad I was able to be a part of that plan. I am so thankful to God for giving us the strength and peace we needed to get through this past year. Without God, we would not have made it. We still have hard days, and we always will, but we are living our lives and I didn't know if that would be possible as I felt them move in my belly and I thought about life without them. As this month goes on I will try to share more of my thoughts and memories with you. For now, I need to move on. July will be a busy month for us! Matt is working, Praise the Lord! Billie has three different day camps to go to this month. Ijams Nature Camp, British Soccer Camp, and Horse Camp! She is very excited for all three. I can't wait to see her learn to ride and care for a horse. She loves horses, as most little girls do, so I am excited for her to get to spend a week learning all about them. I must mention that without her grandparents, Brian & Cathie and Bill & Wanda, these camps would not be possible for her this summer. As you know, Matt was out of work from January to just a few weeks ago and we would not have been able to afford any camps this year, let alone three! We are very lucky to have such wonderful and supportive parents. Thanks to all of you--I love you so very much! I am looking forward to next semester at UT. I am excited for most of my classes. All of them are either Nutrition courses or Food Science courses. It should prove very interesting. I am glad I have all of my chemistry, physiology and pre-rec courses behind me now. I see light at the end of the tunnel! I should be able to finish in just 4 more semesters! Which is actually 2 years, but saying 4 semesters seems so much shorter somehow. I know, I am silly. Whatever works, I say. I guess that is a good update for now. 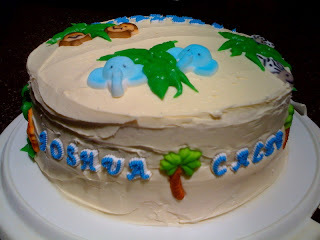 More over then next week + as we get closer to Joshua and Caleb's first birthday!